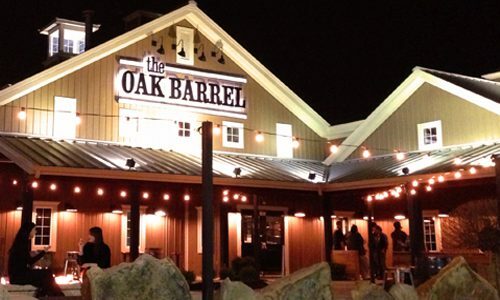 Opened in December, 2012, The Oak Barrel is an independent, locally owned restaurant. Labeled by some a “Gastropub”, we prefer to think of ourselves as a Brasserie & Tap House. Known for our top notch food, by Chef Demetrios Atheneos and our amazing selection of craft beers, bourbons and whiskies, The Oak Barrel is also dedicated to using local and organic products whenever possible. Our menu offers a New American style of food with a French twist, satisfying vegans to carnivores to gluten frees, alike. Chef Demetrios came to the Cleveland area in 2001. Instantly, he became inspired by the changing of the seasons, something he hadn’t truly experienced as a chef, previously, in South Florida. Classically trained in French cuisine, he now found himself departing from these fine dining roots in favor of the New American style. His current inspiration stems from the Farm to Table movement.